New York: Doctors may inadvertently be creating a new generation of illegal, recreational drugusers by prescribing anti-anxiety or sleep medications to teenagers, say University of Michigan researchers. Teenagers prescribed anxiety or sleep medications are up to 12 times more likely to abuse those drugs than those who have never received a prescription, often by obtaining additional pills from friends or family members, the findings showed. 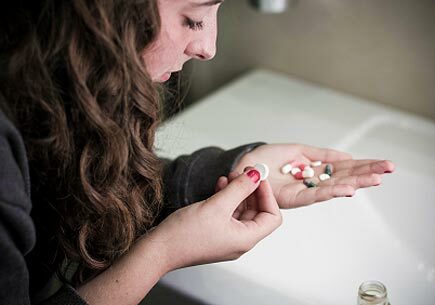 Nearly nine percent of the 2,745 adolescent study participants had received a prescription for anxiety or sleep medications during their lifetime, and more than three percent received at least one prescription during the three-year study period. “I recognise the importance of these medications in treating anxiety and sleep problems. However, the number of adolescents prescribed these medications and the number misusing them is disturbing for several reasons,” said Carol Boyd, the study’s first author and professor of women’s studies. Anxiety and sleep medications can be addictive or even fatal when mixed with narcotics or alcohol. “What happened to Australian actor Heath Ledger could happen to any teenager who is misusing these medications, particularly if the teenager uses alcohol in combination with these drugs,” Boyd added. Ledger died from combined drug intoxication involving prescription drugs in 2008. Examples of anti-anxiety medications include Klonopin, Xanax and Ativan; sleep medications include Ambien, Restoril and Lunesta. “These are controlled substances partly because of their potential for abuse and it is a felony to share them,” Boyd said. The researchers recommend better education for parents and adolescents prescribed these medications, monitoring refills and making it standard practice to provide teenagers with a substance use assessment before prescribing these drugs.